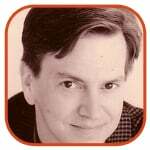 Dean Mullaney is one of the true pioneers of comic book publishing and, I confess, an old friend. He launched Eclipse Comics, one of the first comic book companies that specialized in not only giving creators a refuge from the corporate underwear heroes at DC and Marvel, but also in giving them ownership of their creations. Eclipse folded back in the early ‘90s and Dean disappeared into non-comics pursuits (as everyone in comics knows, once you leave the industry for something else, you disappear). Now Dean’s back at the helm of the Library of American Comics, a series of classy comic strip reprint hardcovers he’s designing and editing for IDW. In his first year back, he won the Eisner Award for “Best Archival Collection” for his collection of Milton Caniff’s Terry And the Pirates. I caught up with him at the end of last year and asked him to spill about my favorite book of his, “Scorchy Smith And The Art of Noel Sickles.” Naturally, I strayed off-topic, too. TOM: First off, welcome back and congratulations on the Eisner. You’ve been out of the industry for a decade, you come back with classy book projects and in your first year, you win the Eisner Award for your launch book. How does that feel? DEAN: Feels damned good! I started in comics in 1977 and this is the first time I’ve won anything. It’s nice to start this new phase of my career in comics on a high note. And it’s particularly gratifying that Milton Caniff’s “Terry And The Pirates” is still winning awards and being acknowledged as the greatest adventure strip of all time. I worked with Milt on a book late in his life and I’m thrilled to be able to honor him and “Terry” twenty years later. 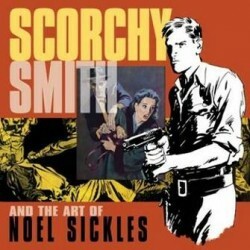 TOM: The most recent one in the series is the “Scorchy Smith And The Art of Noel Sickles” book. Sickles was hugely influential in the field, but not as well-known as Caniff or Chester Gould or Harold Gray. Was it a hard sell? DEAN: It wasn’t a hard sell to IDW Publishing—Ted Adams, IDW President, has given me free reign with my Library of American Comics imprint. It’s a great relationship because we have a long-standing mutual trust in each other. It’s a harder sell to the buying public, which isn’t really aware of Sickles’s work. Yet we knew that, among knowledgeable fans and professionals, the pent-up demand for a Sickles/Scorchy book was almost palpable. Judging from the reaction to the advance copies at Comicon and the rave reviews so far, it will justify our confidence and be a hit. Our “sales force” on this book actually consists of comics artists and illustrators, to whom Sickles is a god. Give me five more Howard Chaykins and Eddie Campbells and the whole world will know about this book! There’s also a great crossover with people who collect 20th Century illustrators. TOM: Sickles brought cinematic storytelling to Scorchy Smith. He varied angles, played around with light and shadow, and his characters look like they’re moving instead of posing. He was largely self-taught, so where did this come from? Other artists seem to have noticed it right away, but did the audience at the time feel they were seeing something different? DEAN: Certainly Sickles’s innovations were first noticed by other artists, but the public appreciated his work, too. When Sickles took over the strip, 100 newspapers subscribed to “Scorchy Smith; after three years, circulation increased to more than 250 papers. TOM: Some say Sickles basically taught Caniff to draw and they worked on each other’s strips periodically and they remained friends forever. What drew the two of the together? DEAN: This is an idiotic piece revisionist theory. Sickles did NOT teach Caniff how to draw. Milt did fine all on his own. What Sickles did was invent the chiaroscuro approach to comics storytelling, and he did so partially because he was an incredible innovator, and partly because he was searching for a way to produce the strips more quickly. He and Milt were studiomates as well as best friends, and it was only natural that Milt added that approach to his own style and morphed it into what we now call the “Caniff School.” Sickles was undeniably the better natural artist, but Caniff was the consummate storyteller. Milt always credited his friend for inventing the chiaroscuro style. TOM: Sickles quit drawing Scorchy over money. Since this was the 1930s, how much are we talking about? DEAN: According to Sickles, he was earning $47.50 a week when he started, and $125 per week when he quit. He estimated that the Associated Press was earning at least $1,500 a week from his work. It should be pointed out, too, that Sickles was becoming bored with the constant deadlines of producing a daily strip. He was such a perfectionist, he would often get to the last panel, decide he didn’t like it, and throw out the entire strip, instead of doing a new third panel as a pasteover. He was also looking for new challenges. TOM: He went on to a lucrative career in illustration. Did he ever try other strips to get back in? DEAN: A few times. From late 1939 through 1941 or so he ghosted “The Adventures of Patsy” for first Mel Graff, and then Charles Raab, both of whom were Caniff and Sickles acolytes. He also pitched in from time to time on “Terry” and “Steve Canyon” when illness sidelined Caniff. And in the ‘60s, he did samples for an unsold strip, “Gar Landon,” and later, he and Caniff did samples for an unsold “Bruce Lee” strip. TOM: What did you scan from? It’s every strip in the Sickles run and 140 pages from his subsequent illustration career. Did you have a hard time finding all the pieces? What did you have to leave out? DEAN: Finding a complete set of Scorchy Smith has been the Holy Grail for adventure strip collectors. We all owe artist Andrew Pepoy (creator of “The Adventures of Simone and Ajax”) big time for supplying his near-complete set of clipped strips. Most of the remaining strips came from Bill Blackbeard’s collection at Ohio State University’s Cartoon Research Library, although a single strip eluded everyone, until I tracked it down in a small-town Texas newspaper two weeks before we went to press (!). TOM: Were there reproduction issues to deal with? DEAN: The most difficult part of digitally cleaning up and restoring the strips was on the long sequence in which Sickles employed Craftint duotone shading. Craftint doesn’t print well on newsprint; anyone who has the old Woody Gelman/Nostalgia Press editions knows how splotchy, and often indecipherably, it prints. My old friend Jim Steranko was instrumental in helping me determine the right shade for the Craftint dailies. Jim’s intro to the book is also, I believe, the single best analysis of Sickles’s art. TOM: What about the illustrations? DEAN: Most of the illustration work in the book came from the Sickles archives at Ohio State. Apparently, these amazing originals and file proofs have been sitting there since Sickles’s widow donated them in the 1980s! Bruce Canwell, my Associate Editor, and I discovered so much previously unseen material in the archives. And Bruce’s research for the Sickles biographical essay is truly groundbreaking. His biography details, for the first time, the full breadth of Sickles’s life and career. TOM: You were around at the beginning of the direct market and I think the first publisher to really provide an alternative to Marvel and DC where creators could retain ownership. DEAN: First, credit where credit’s due. Certainly Eclipse was one of the first —and I published the first graphic novel (“Sabre” by Don McGregor and Paul Gulacy) for the direct market—but Mike Friedrich’s “Star*Reach” paved the way. Mike created the first true alternative (differentiated from underground) publishing house, offering work from many writers and artists, as opposed to self-published works. TOM: Now three decades later you’re back in it. How does the industry look now, compared to then? DEAN: The industry has obviously changed a tremendous amount in the past 30 years. Hell, it changed a tremendous amount during the twelve years I was doing other things. Some of it good, some not. That good comics are accepted by the literary establishment is fantastic, yet the reviews place too much emphasis on the story because the reviewers don’t seem to understand comics art, and that it’s a medium that combines words and pictures. The dream we all had of seeing a “graphic novel” section in mainstream bookstores has been realized, but I’m concerned that the wheat may be hidden by the chaff. In the earlier days of the direct market, it was wide open. With Eclipse’s clout—when we had 10% of the market, which is more than Image, Dark Horse and IDW combined today—we could have all the fun we wanted. For example, we loved mini-comics which people such as Matt Feazel were making in editions of 100 or 200 and selling for 25¢. We sold 20,000 copies of the insanely-titled “Giant-Sized Mini-Comics” so Matt and other artists could reach a larger audience and make some nice money. It was a heady time. On the other hand, today there’s a much wider variety of serious and non-fiction graphic novels. Each time has its unique enjoyment and unique opportunities. TOM: What do you see as the legacy of Eclipse? DEAN: The firm establishment of creator-ownership of properties is Eclipse’s most important and enduring legacy. For example, there’d be no recently-released ZOT! collection if Eclipse had published it as a work-made-for-hire. Eclipse also pioneered graphic novels, manga—with the first full line of Japanese comics in English (20 years too early, it turns out!). We published the first line of fully-painted comics, the first computer-colored comic (by Steve Oliff), the first full line of comics on high-quality paper, and on and on. We also released the first line of graphic novels for mainstream bookstores—co-published with HarperCollins; the ironic part is that the deal with HarperCollins is what put Eclipse out of business when Harper failed to pay a dime in royalties or supply a single sales statement. After 17 years, I finally achieved my goal of putting graphic novels in bookstores, and it proved to be the end of the line. Be careful what you wish for. Eclipse’s legacy also lives on in other publishers. In the early days, I gladly offered advice and suggestions to aspiring publishers. I recall spending many an hour answering Rick Obadiah’s questions when he was planning to start First Comics. And when a comics shop owner from Portland sought my advice and suggestions for starting a publishing company, I was glad to play tutor. The result was Dark Horse. And one of the fun things about getting back in the game is talking with the younger publishers who were influenced by Eclipse. People such as Ted Adams at IDW (who actually worked for Eclipse right out of college) and Brett Warnock of Top Shelf. Sounds like a great couple of years to look forward to. Thanks, Dean and good luck. For updates on Dean’s stuff, check out the IDW website. Hi Kermit/Aziza - Thanks for your comment, but the whole thing is a textbook example of Epic Fail. Please feel free to try again though. Our audience loves flea-and-tick updates.